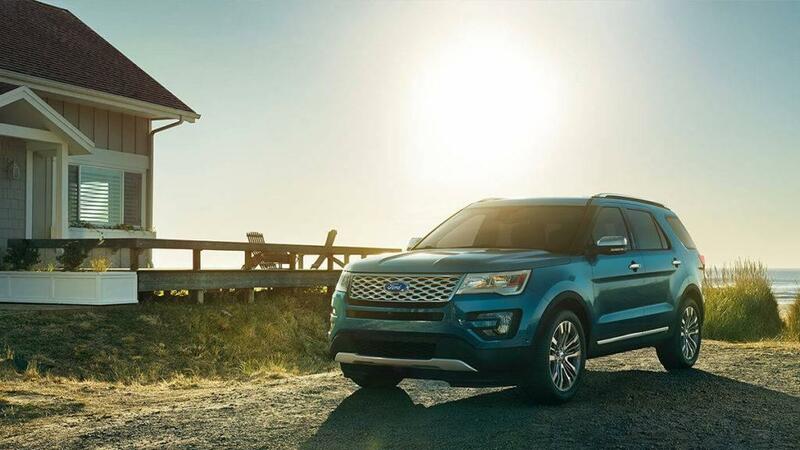 The 2017 Ford Explorer trims offer a lineup of family-friendly SUVs to take on Glenwood Springs and beyond with the well-equipped and smartly-appointed model you need. With five models spanning from generous and affordable to a deluxe SUV fit for a king, you’re sure to find one that has what you’re looking for on the budget you’re working with. Learn more below about the different models, then meet us for a test drive of the one that catches your eye at Glenwood Springs Ford today! Traction Control, the Safety Canopy System or airbags, and AdvanceTrac with Roll Stability Control combine to help protect you. Bring the kids and their friends with two rows of bench seats in the rear. There’s also plenty of space for adult passengers, too. Giving you up to 24 mpg highway and 17 mpg city, this powerful SUV exchanges its robust performance for a family-friendly fuel bill. Secure luggage or sports equipment to the roof of the SUV so that you can make more of family vacations with more interior space. The Ford Explorer XLT adds many available features like dual-zone automatic control and leather-trimmed seating for more interior comfort or a twin-panel power moonroof to make the most of clear night skies. When you opt for the third trim, the Limited, you’ll have a turbocharged 4-cylinder engine that puts out 280 hp, and standard features include leather seats with heating and ventilation, a 9-speaker sound system, and an 8-inch touchscreen with Ford’s exciting SYNC3 infotainment system with voice commands. Next in the family is the Sport, which ups the performance with a turbocharged V6 engine generating up to 365 hp and sport-tuned suspension for a more engaging ride. At the top of the lineup, the Platinum decks out your options with Adaptive Cruise Control, Park Assist, a panoramic sunroof, and a rear entertainment system. Meet the Ford Explorer lineup and see what other options each trim features by coming in to Glenwood Springs Ford, located at 55 Storm King Rd. You can make an appointment with a sales specialist to discuss your desired model and financing by calling us today at 970-945-2317. You can also leave a message online with any questions you may have!